If you’ve not seen her in the local news, Lively Lady is on the move to start her refurbishment. 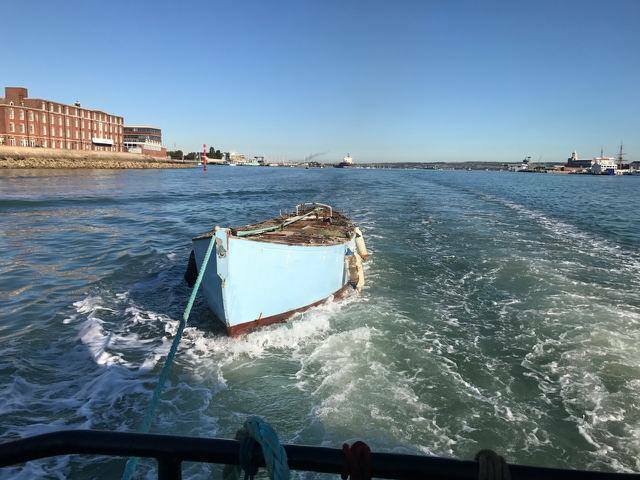 The above picture was taken on Friday 22nd as she was taken out of Portsmouth Harbour on her way around to Hayling Island for her refurb. ← Lively Lady in the Water! Great to see Lively Lady afloat again. In fact its wonderful. Thanks for your support, we love positive feedback!